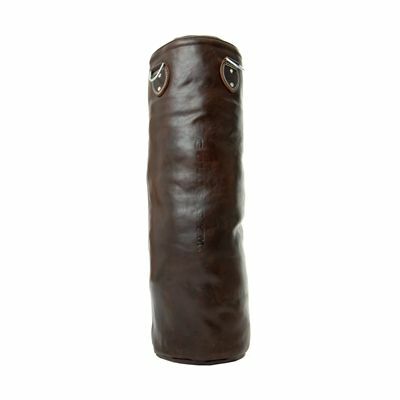 The Golds Gym Heritage 36" Leather Punch Bag is 100% genuine leather with fine brass finishings. It combines top performance with an authentic style. The ample 91.5cm height allows for low or high striking to ideally hone your footwork and practise combinations. It has a custom-blend filling for ideal weight and comfort and features heavy-gauge welded 'D' and 'O' rings. Boxing is a perfect way of toning your body and letting off steam at the same time. It is suitable for all sports that require good upper body strength: rugby, cricket, rowing, etc. Focussing on upper body conditioning, working the arms, abs, chest and shoulders, it also includes some lower body exercises in the kick boxing area and enhances your overall fitness levels. for submitting product review about Golds Gym Heritage Punch Bag.